I photographed the wedding of Amanda & Luke yesterday. 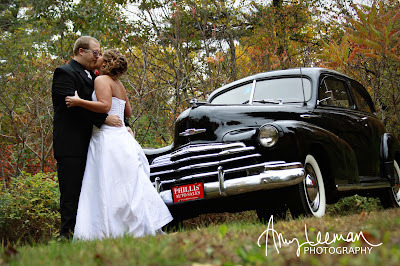 I am going through the pictures now and want to know what good deed I did to be able to photograph such a wonderful couple and THIS car. You just wait... this is only the tip of the iceberg! 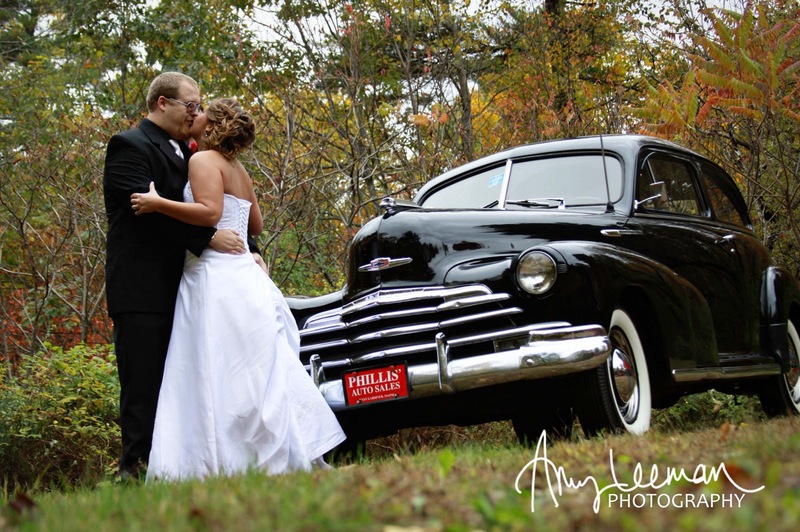 The bride being "framed" by the husband's black tux and the black of the classic car - makes this photo a keeper. Is that a red butoneer that makes my eye keep traveling between the couple and the red license plate on the front bumper? Time to quit the day job.